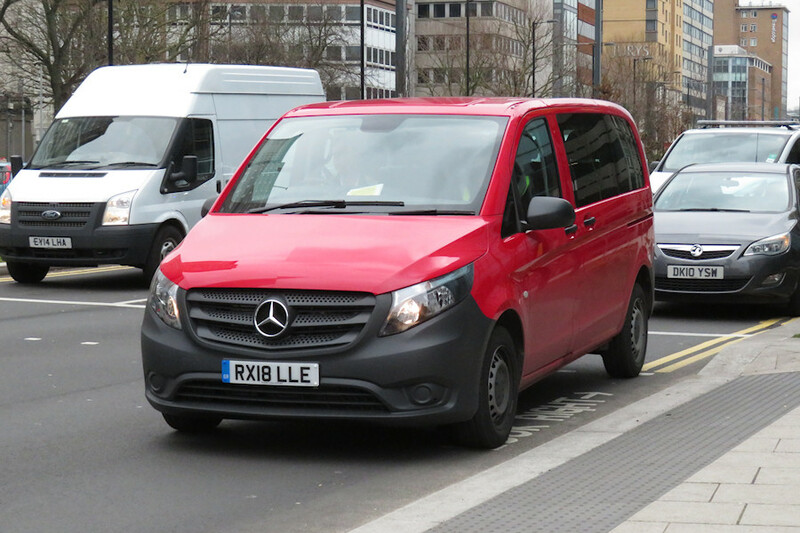 Details: Seen near the route X26 stand on Wellesly Road, Croydon on 1st April 2018 was Mercedes-Benz Vito minibus RX18LLE. The location and livery suggest that this is a Go-Ahead London vehicle, most likely operating from the former Metrobus Croydon garage at Beddington. Several Go-Ahead crew ferry vehicles have been withdrawn in recent weeks so there may well be more new examples, either here or at River Road in Barking.